Will is the gardener in our household. It's not that I have a brown thumb, but he is definitely superior. This summer, he bough giant basil seeds (yes, that is a real thing), and a few turned out bigger than my hand. 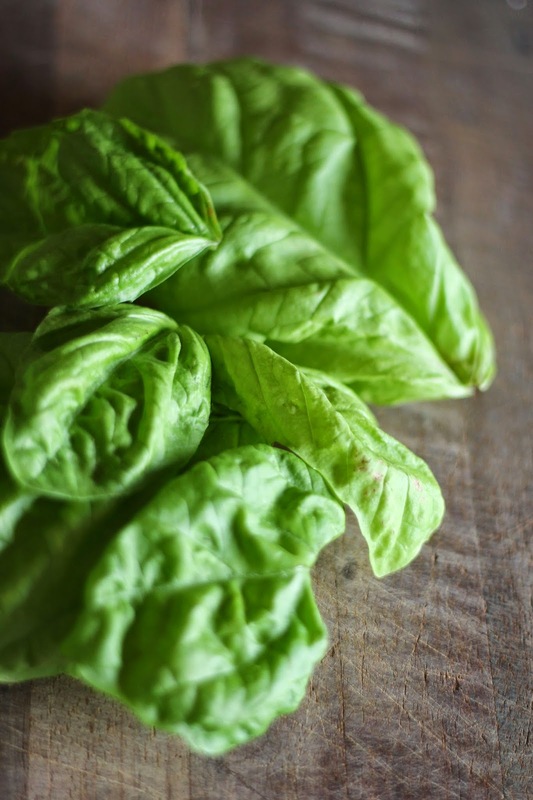 So, what do you do with an abundance of basil? 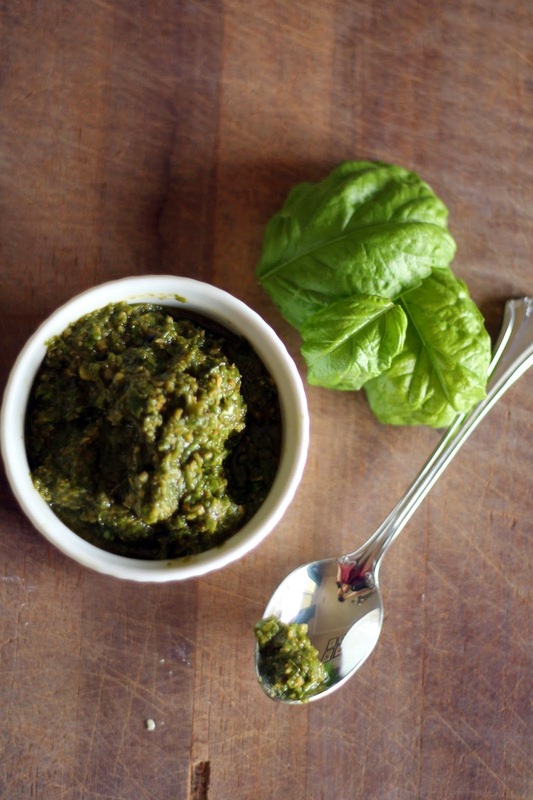 Make pesto all summer long, of course. 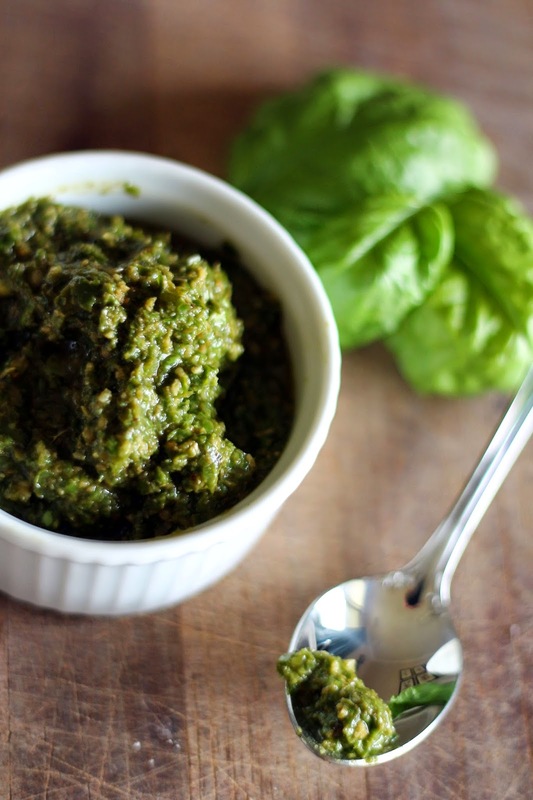 I love a simple pesto pasta, but it tastes great on sandwiches, pizzas, and crostini too. Plus, you can double this recipe, and put the rest in the freezer to save a bitterly cold winter day. 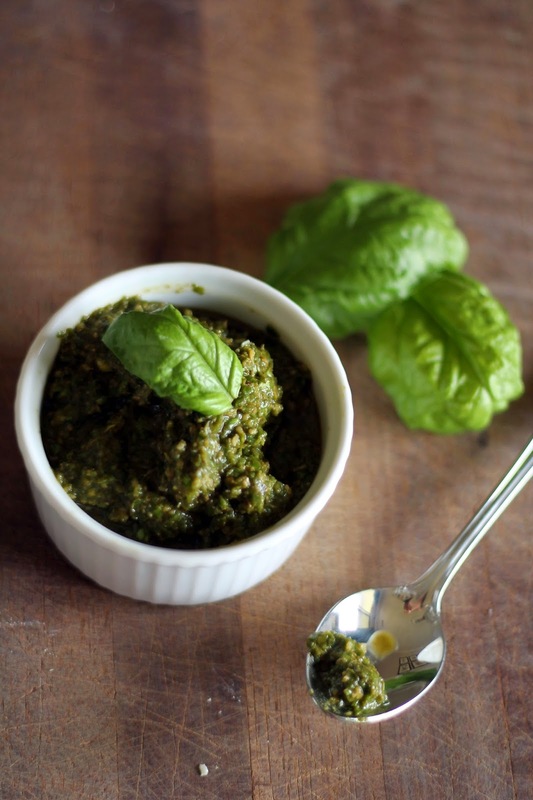 Place all ingredients, except for olive oil, in a food processor. Pulse a few times, and then slowly add olive oil while machine is running. Scrape down sides if ended, and blend until desired consistency. I like mine a little thicker. 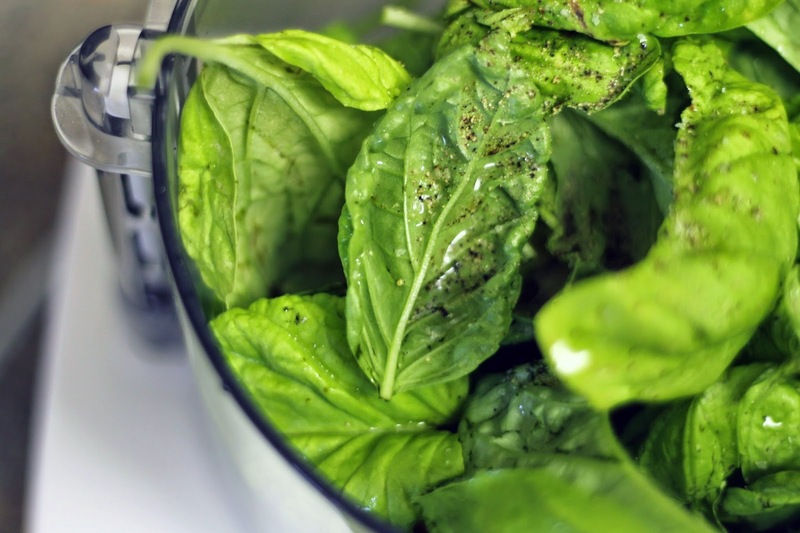 Beware of over blending because basil will turn brown.